Over 60 years of success continues as legendry culinary restaurant Moti Mahal Delux is expanding its route to the international level. 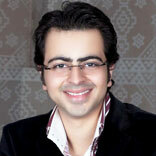 In an interview Yuvraj Kohli, Managing Director, Moti Mahal Delux shares brands’ success and vision to grow it bigger. Neha Gohil (NG): Share with us your entrepreneurial journey and the inception of Moti Mahal Delux. Yuvraj Kohli (YK): We got involved in Moti Mahal Delux, when my grandfather Lt. Shri Amrit Lal Kohli opened the first ‘Fine Dining’ outlet at Greater Kailash in the year 1975, thereof breaking the Darya Ganj trend of Moti Mahal Delux. Here, I would not hesitate to mention, that we were among the early ones to give Delhi the trend of Fine Dining Restaurants. Legacy was taken forward by my father Shri Sanjiv Kohli with the opening of another fine dining at South Extension in the year 1983. With food business in my blood and passion to do something different, I got involved in the business by opening ‘Princes Garden’ The Chinese and ‘Voda’ The Lounge Bar, adjacent to Moti Mahal Delux in the year 2005.I was fortunate to taste the success in a short span of time, which all the more increased my interest and started exploring the means to diversify. The very first idea to strike my mind was franchising. Without wasting any time we started the first franchise outlet at Pitampura followed by an outlet at Kathmandu Nepal, Chennai and Faridabad. YK: Consistency of our home made recipes and staff. YK: The ‘finance factor ranks number one, time factor number two and last but not the least regular recurring income. In terms of support the entire production team is being provided by us, rest everything is secondary and yes we are available 24x7 for any kind of support, the franchisee requires. We work with the motto of ‘mutual interest of both’. NG: How has franchising helped the brand so far in achieving its target? YK: Moti Mahal Delux the brand is easy to sell and convince. Yes for sure we reached the right and potential clients in good number without wasting much time. NG: Tell us about your brand’s presence. How many of your restaurants are franchised or company-owned? YK: We are the proud owners of Moti Mahal Delux at Greater Kailash (in partnership) and company-owned outlets at South Extension Part II, Saket, Mussoorie and a new Chinese restaurant shortly coming up again at South Ext. Part II. Besides the new fine dining outlets at Saket, new franchise outlets will be opening soon at Amritsar and Ludhiana. We have franchise outlets at Kathmandu Nepal, Chennai and Amritsar and new openings soon in Faridabad and Ludhiana. YK: Now we plan to diversify along with elite to people’s business means we wish to reach the masses. The target cities at present are of course the metropolitan. NG: What is the area and investment requirement to own a franchise of your brand? YK: Preference is of 2,000 sq. ft of carpet area and investment can vary from Rs 2,200 to 3,000 per sq. ft.
YK: People who understand food and hospitality. YK: I probably feel the major challenge faced by a franchisee is the food cost which comparatively is little on the higher side than other Indian Restaurants. Being a professional, I would suggest the franchisee to be patient without compromising on the standard of our recipes and quality. As good food pulls the crowd.